Should You be Working Harder Right Now? I’m sorry this is a little late. I am in Amsterdam, but my luggage is still in Detroit. My 1:30 PM flight to Detroit turned into a 5:45 PM flight to Detroit. My 3:45 PM flight to Amsterdam turned into a 12:30 AM flight. You would think that it would be possible to get my luggage to the plane during the 4 hours I was stationed at the Detroit Airport. But, alas, Delta. This is going to be a short newsletter. I only want to share one big idea with you, and it isn’t anything you need intellectualize. It’s something you should just take immediate action on. That idea is working harder. I continually hear people suggest that they need to be working smarter, not harder. But then I look at their results and the one thing would massively improve their results would be their working harder. There is nothing smart about not working hard. There is nothing inherently wrong with working smarter. It’s the part where “working smarter” turns into procrastination, resistance, and the search for cheats and shortcuts that get you in trouble. There is nothing smart about not doing the work you most need to get done right now. There is no reason you can’t work harder and smarter. Twice last week I was asked about my personal productivity. Both times the questions assumed I had some secret method that I use to gain some advantage. If I had a secret, I would gladly share it. The best thing I can tell you is that you should spend your time doing the things that most need done. Define your outcomes. Make a list of the things that you need to get done. Block time on your calendar to do those things. Avoid distractions and novelties. Then work like the Devil to get as many of those things done as you possibly can. If you can get three big outcomes done in a day, push to get four big outcomes. If you work in 90-minute blocks and take a 15-minute break to recharge, add a 45-minute block to your day. You are never going to have any more time than you have right now. If it’s important that you do something, get it done. 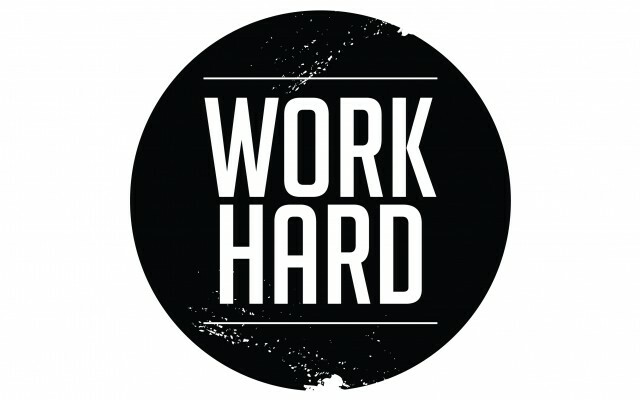 If you are being honest, should you be working harder right now? Are you doing less than you could or less than you should be in some area?